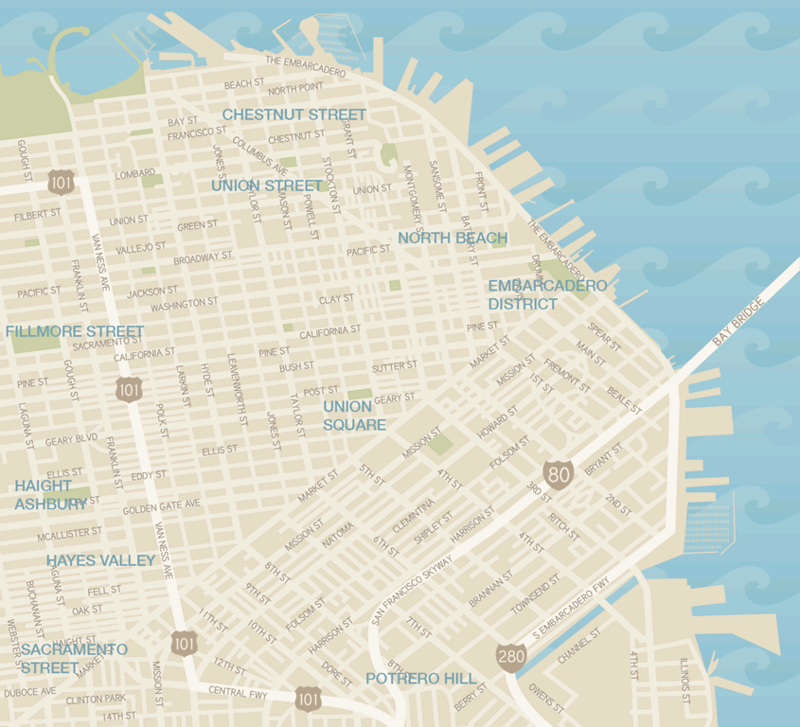 A map of some of the most popular shopping districts in San Francisco. Each distric has its own character and vibe. Some of them focus mroe broadly on one category of shops than another.